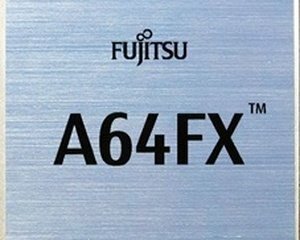 Japanese technology giant Fujitsu has published the specifications for the A64FX CPU, the Arm processor set to feature in the Post-K supercomputer, due in 2021. The high performance computing (HPC) system, being built by Fujitsu and Japanese research institute Riken, aims to have an application execution performance of up to 100 times that of the K supercomputer, the world’s most powerful machine in 2011. Post-K will be one of the first exascale supercomputers. A64FX is the first CPU to adopt the Scalable Vector Extension (SVE), an extension of Armv8-A instruction set architecture for supercomputers. 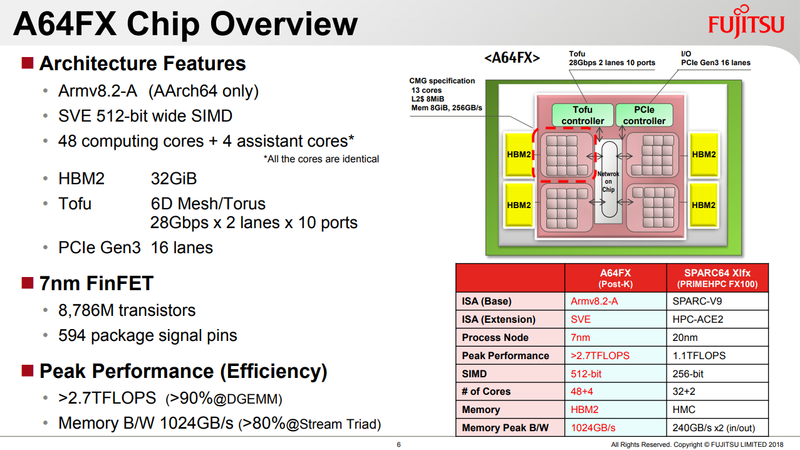 The chip was announced at Hot Chips 30 in California, with Fujitsu claiming A64FX will offer a peak double precision (64-bit) floating point operations performance of over 2.7 teraflops. That number doubles with single precision (32-bit), and doubles again for half precision (16-bit). “It offers a number of features, including broad utility supporting a wide range of applications, massive parallelization through the Tofu interconnect, low power consumption, and mainframe-class reliability,” the company said. The system will have one CPU per node and 384 nodes per rack, with a total power budget set to be between 30 and 40MW. The Post-K exascale project was started by Fujitsu and Riken in October 2014, as the successor to the 10.5-petaflop K supercomputer project which began in 2006 and was completed six years later. The 12.6MW system features 705,024 Sparc64 VIIIfx cores, each with a peak performance of 128 gigaflops.